Netflix to add HDR support for mobile viewing soon | What Hi-Fi? At first, it will only be available on the LG G6, but the tech should come to other smartphones - including the Samsung Galaxy S8 - soon after. One of the LG G6's main selling points is the fact you can watch shows and films in HDR, but annoyingly there's a distinct lack of HDR content available at the moment. 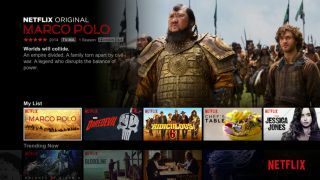 That looks set to change, as Netflix will offer HDR content in version 5.0 of its Android app. This was spotted on the Netflix help page, via GSMArena. At the moment, the only compatible device listed is the LG G6. But hopefully it should come to the HDR-enabled Samsung Galaxy S8 soon too. Amazon previously announced it would offer HDR content for the S8 via its Amazon Prime Video streaming service, but it's yet to confirm a date. There's no word on when version 5.0 of the Netflix app will launch. All Netflix will say is it's "coming soon". According to the same help page, support for Dolby Vision is also coming soon, presumably in the same version of the app. Dolby Vision is another version of HDR - a few 4K Blu-rays have been announced that will use the technology, including Despicable Me and Power Rangers. The LG G6 was the first smartphone announced that is Dolby Vision-compatible.